It’s free, it’s clean, it’s close to my home and parts of the beach are dog-friendly. All pluses in my book. 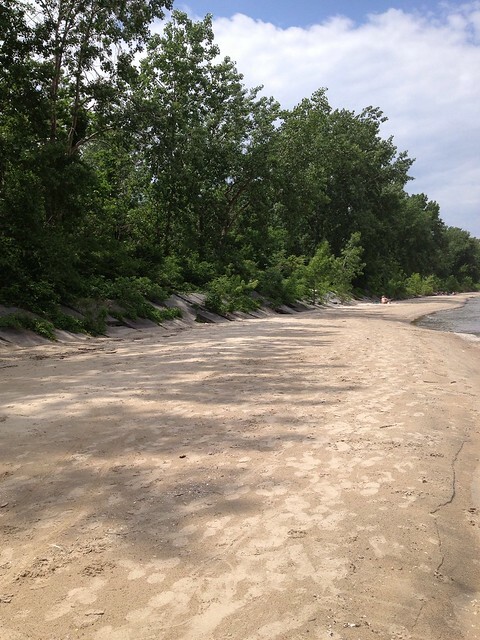 The nearly two-mile sandy beach at East Harbor State Park (map), named on of Ohio’s top seven beaches along lake Erie, has a large public beach area, complete with an inflatable slide and a playground. Even better, there’s lots of shade, especially in the afternoon, so you can get your sun or pull off into the shade if it’s too hot. 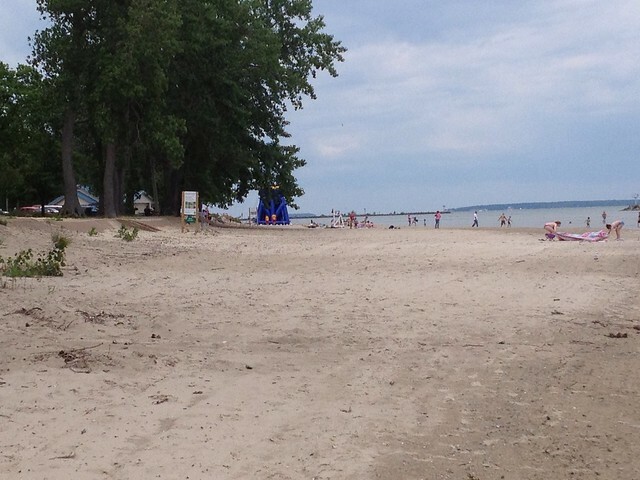 Farther south on the beach, where that water comes right up to the shore, are lots of picnic tables with grills for family outings (plus there are three shelters at the park). 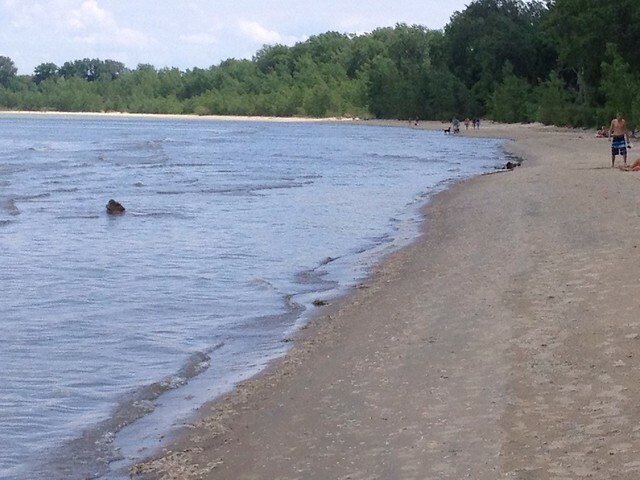 And, if you walk farther down, either by the access road or through a sandy path, you’ll reach the more remote end of the beach, where people sometimes have their dogs (under control) and boaters often moor and come ashore. You have to heft your things a far way but it’s nice and peaceful. 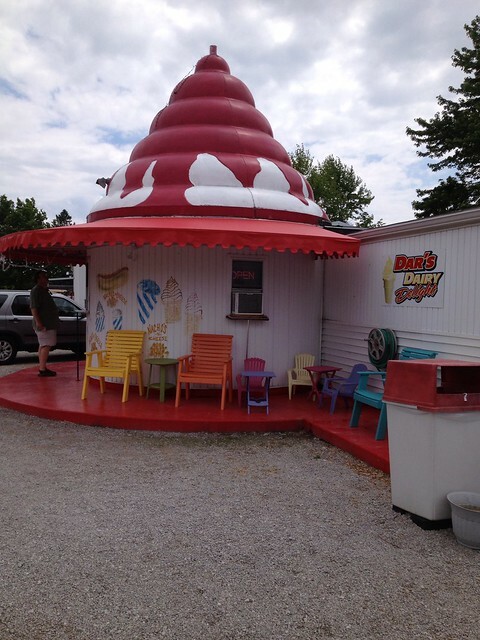 On your way out (or in) to EHSP, stop by Dar’s Dairy Delight on 269 for a dip or two (map).